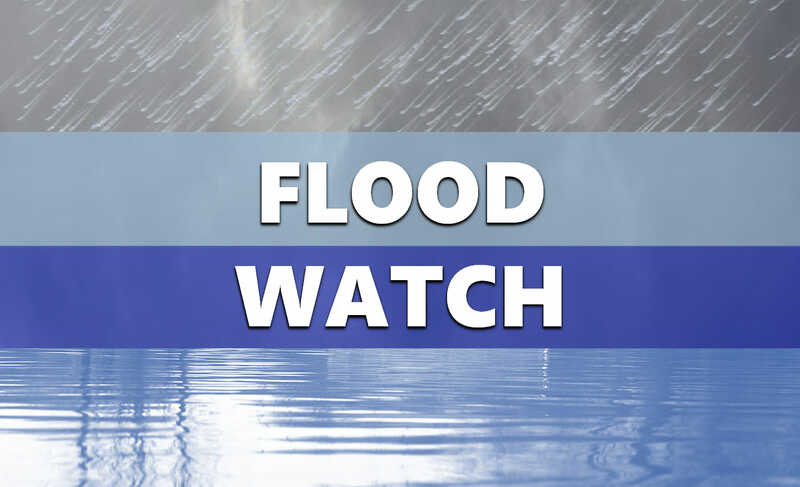 DUBOIS COUNTY -- A FLOOD WATCH is in effect for the entire listening area through 1 p.m. Tuesday. Moderate rainfall will continue today along a slow-moving frontal boundary. This may cause rivers and streams to rise. Meteorologists also warn of potential street flooding through Tuesday. Isolated flash flooding will also be possible. As always, officials urge you "turn around, don’t drown." Never cross water-covered roadways.